I'm finally getting to dip my toes into the pool of the MIT Media Lab's Creativity MOOC. Week 4 tackled the topic of peer learning, one of the "P's" the course is focused on. The others are projects, passion, and play. The Internet opened up a tremendous amount of information to the world, democratizing education, it's true, but also enabling us to connect with peers in heretofore unheard of ways. For example, we can undertake learning projects together. One of the instructors in the video mentioned an attempt he made with a few friends to take a psychology course online. The materials in the MOOC were unimpressive, but he ended up learning what had driven his friends -- all on different continents -- to want to study psychology. What began as an educational pursuit brought the peers closer in an emotional way. Because the friends were without an expert, they didn't meet their learning goals, but they achieved something else. The video also went on to discuss what role an expert or facilitator might play in learning. Clearly, an expert is necessary -- as evinced by the failed attempt to learn any actual psychology -- , but if we think about the learning that did take place, then we can think about what a more fluid classroom might need and may decide that learning goals can be flexible and varied. 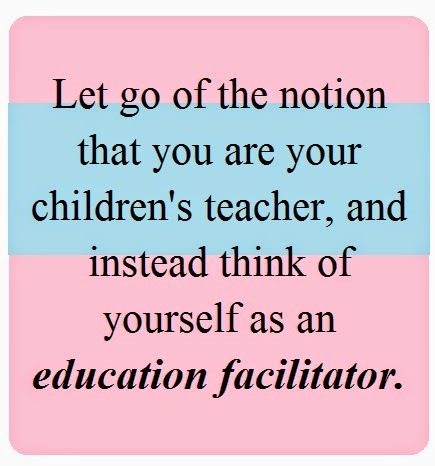 A facilitator, as opposed to a teacher or expert, for example, might need to show learners how to obtain information -- how we know is becoming as important as what we know -- or he/she might play the role of foster emerging collaborations. Noticing what learners are doing in the room and who they're learning with is key, then, for a facilitator, who doesn't have to be expert in a particular area in order to help people learn. A final point the video made was that peers often drive learning outside the classroom. Friends frequently sign up for activities based on what other friends are doing -- a point that perhaps circles back to the initial one made about the friends who signed up to study psychology together. Those friends were adults, and adults may not be as driven to do what their peers are doing; often, younger learners -- those in elementary and high school -- sign up for courses or activities solely because "their friends are doing it." The influence peers have on the learning process, therefore, is worth pondering. Of course, I'm a big believer in getting out of the students' way, so I can observe more closely what they want to learn and therefore help them get to the place they want to get to. The MIT Media Lab video deepened understanding of my role as facilitator in the self-directed learning environment and renewed my respect for peer learning, making me wonder how I can incorporate it more in the classrooms where I'm driving course material. But the segment also made me think of JEDLAB, which lacks formal hierarchies and is all about peer learning. At the beginning of the video, when the instructor spoke of the fact that the foray into psychology simply brought him closer to his friends, I immediately thought of Ken Gordon's piece about the "I-Thou"-ness of JEDLAB. 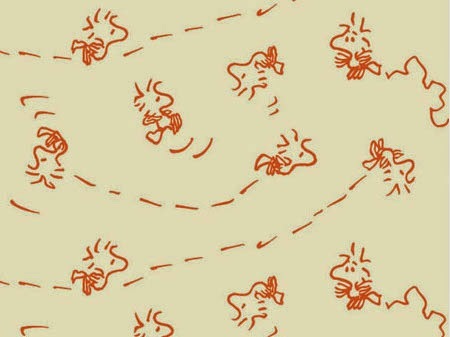 Unlike the failed attempt to learn psychology, however, I do think we get an awful lot of learning done in JEDLAB, though it often seems to take the route of Woodstock in the old Snoopy cartoons, that is, it's non-linear. What seems particularly strong in the group, however, is the sense that we're on a journey of learning together, that we're peers bound by a shared passion for Jewish education and a desire to play with its forms and structures in a manner that today's new forums and media allow for in unprecedented ways. So what I took out of my first foray into the creativity MOOC is that it's OK to take a meandering, circuitous path in learning. That meandering takes time and freedom, though. Standardized tests create an atmosphere that is the anti-thesis of the serendipitous and self-driven one we're advocating here, and the Jewish day school day is packed because of a dual curriculum. So my question is: How do we build time and freedom into the school day?